Trepanning is often done using a lathe. However it will be shown that there are certain advantages in doing trepanning on a milling machine. In this sense this is another way of using a milling machine to do something usually done on a lathe. 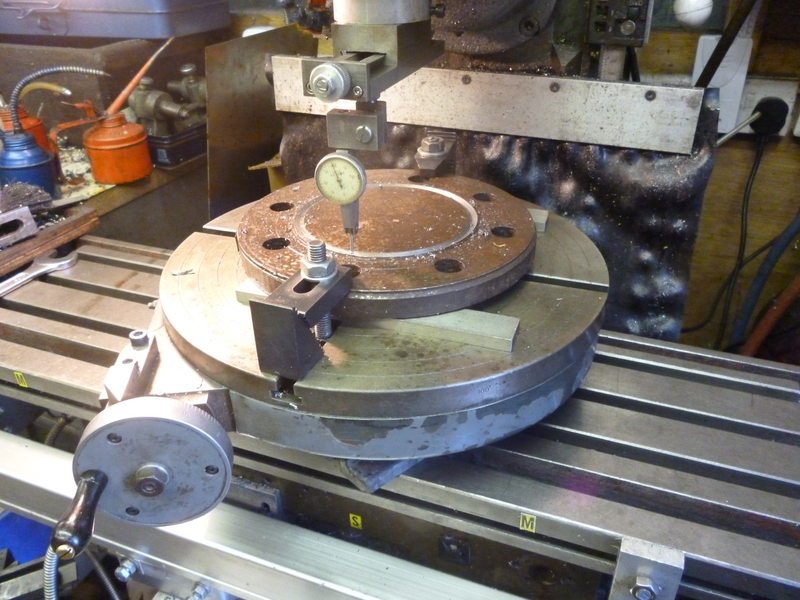 The way this is done is by mounting the workpiece on a rotary table. 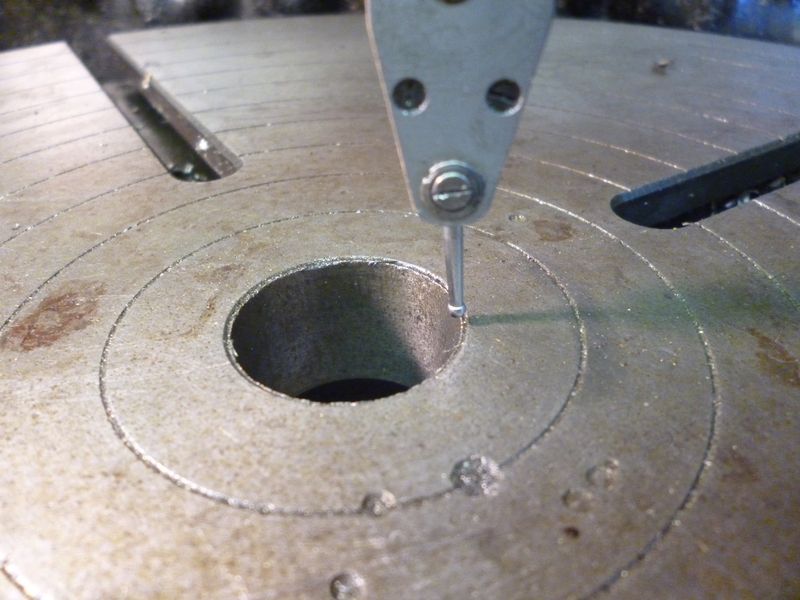 A ring is cut out using an endmill in the vertical socket. In this case a round shape is to be cut from a larger round shape. The rotary table has to be centered with the vertical socket. This is done so that the workpiece can then be centered. This was done by sight since great accuracy was not required for this. The workpiece was then centered on the axis of the spindle and thereby also on the rotary table.on the rotary table. The milling table is locked in the y-direction. It is then moved in the x-direction to set the radius of the ring to be cut out. It is then locked in the x-direction. All the cutting is simply done by rotating the workpiece on the rotary table. 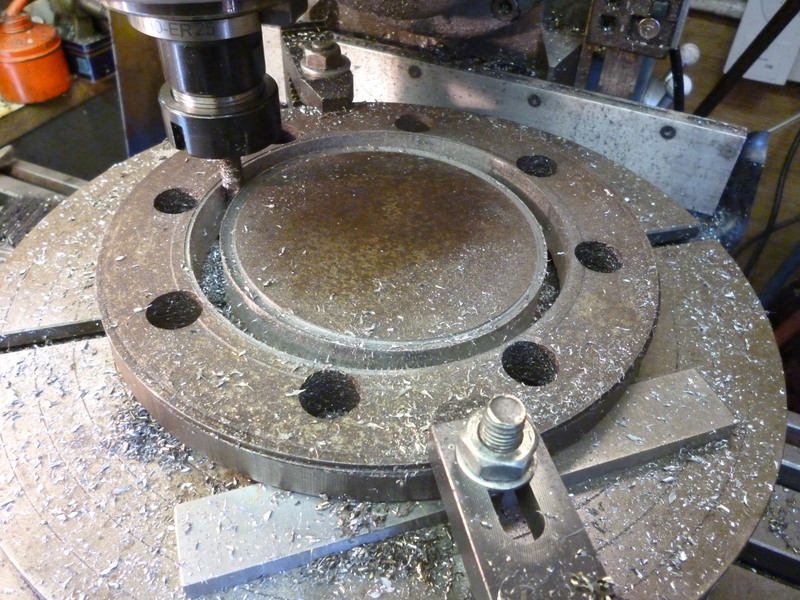 In this case the workpiece was too large to hold in a three jaw chuck. It would have been quite difficult to center it on a four jaw chuck. It would have been difficult to cut such a deep cut as was required given the thickness of the material. All of these problems were resolved by doing the job on the milling machine.